Harold gets his new tank up and running with LED lighting from Orphek and a skimmer too. Harold M. and his wife in Illinois were excited to receive their new Atlantik v2.1B units for their 300 gallon starfire tank. 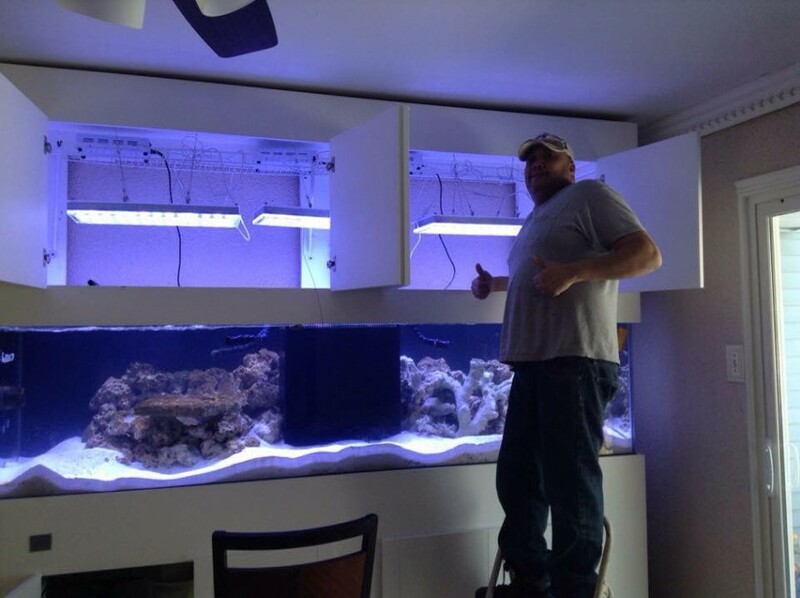 This 8 foot long tank is 30 inches deep and 24 inches high. The 3 units of Atlantik v2.1B cover the tank perfectly without any shadowing or hot spots. The Helix 5000 skimmer in the sump below gives Harold the ability to feed heavily once he gets the tank fully stocked, without fear of issues. Speaking of stocking Harold has plans to stock the tank in a mixed reef format but plans to have it heavily populated with SPS corals throughout. The Atlantik v2.1B gives him the ability to control 4 separate channels and create a custom light schedule with enough intensity for even the most light demanding corals that he hopes to keep. He seems to like the ability to control the lights via his tablet the best. With 10 years experience we are sure that Harold will have a beautiful tank in the future and we look forward to seeing more from him and his wonderful wife and seeing this tank grow up. Welcome to the Orphek family Harold.